Seriously: the last three polls, going back to June, had Noem up 12, 5, and 9. But now Herseth Sandlin leads 47-45 (MoE 4.5), turning the race into a 59/41 split in the Democrat’s favor. This is genuinely surprising to me, and it leaves me wishing I had a local expert to explain to me what’s happening in that state right now. Grasping for an explanation I’ve checked whether this poll contains leaners. We saw in North Carolina that a lot of marginal support can make the polls with leaners look much different. But I see no sign in the Rasmussen writeup that this new poll contains leaners, so this has to be movement of firm support, if it’s real. 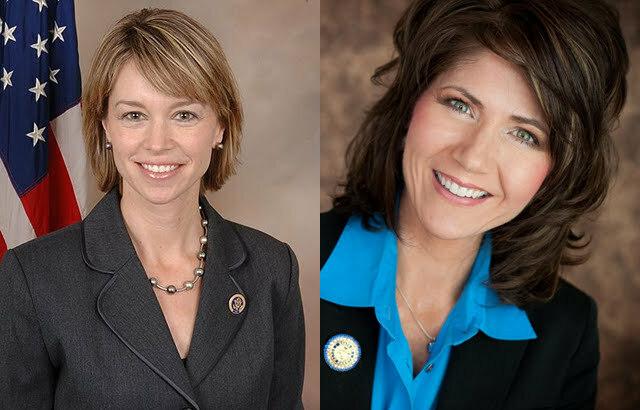 The favorability situation is still good for both candidates: Noem is at 53/41/7, while Herseth Sandlin is happy at 60/39/2. That’s not explaining much. The DCCC has spent on this race. Perhaps national help has turned this around for Herseth Sandlin? This could be a battleground of a House race down to the end.